The photo of the first Jessa Duggar kiss. She saved her first kiss until after her wedding day. And then Instagrammed it. The Duggars are just SO INTERESTING. They’re like a really conservative, well-mannered car crash that we can’t look away from. Refresher: The Duggars are a big family in Arkansas, USA. A BIG family. 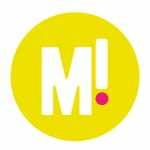 They have a reality show called “19 Kids and counting” which just about sums up their world. Jim Bob and Michelle are the parents, and they’s had NINETEEN kids since 1988. Approximately one human every year-and-a-half. And somehow, ALL the kids’ names start with J. The Duggars are very, very conservative (like, no contraception allowed conservative). They are Independent Baptists. They do not wear shorts, singlets, or anything above the knee. No beaches. No swimming in public. No short hair. No beards. The children are homeschooled, and the older ones help out the younger ones. Dating is not dating. Dating is chaperoned courtship. No physical contact. Even when engaged, THERE IS NO KISSING ALLOWED. It’s actually kind of sweet. Maybe. 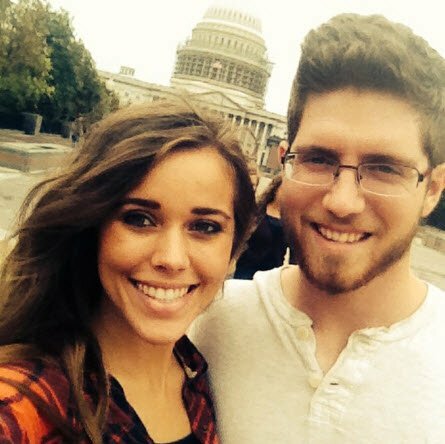 Jessa Duggar, the fifth child, 22, got married on Nov 1 to Ben Seewald. They held hands for the first time when they were engaged. They had a self-imposed ban on contact until their nuptials, and were only allowed to side-hug. Ten days after their wedding. This may or may not be their first kiss. But it’s definitely a new concept to them. Let’s hope the first one was good, and not like most of our first kisses. Awkward as hell, with a lot of saliva. Shudder. Congratulations, Jessa and Ben. On the wedding, and the lip action.